Marketing that gets to work—now. Have ambitious growth targets, but no marketing capability to drive it? Many firms want a more strategic and impactful marketing function, but don’t have the budget, headcount, or resources to deliver it. They want to grow faster, but they can’t. As a CMO and now as CEO, I would never outsource either of these client-centric, do-or-die functions unless I could gain a competitive advantage. But, it does makes sense to outsource, if your organization is falling behind the market or you don’t have the strategic resources to drive smart growth. 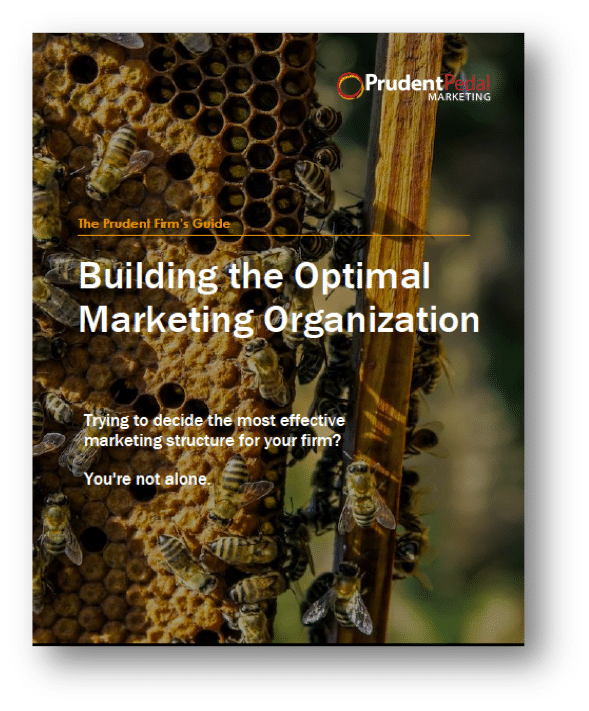 By outsourcing the marketing function, firms can access the best thinking and practices of leading firms, gain operational flexibility and better manage budget and priorities. Most important, they set their growth strategies in motion. Prudent Pedal is strategic growth support. We become the marketing team and manage all the elements of the marketing function from strategy to operations to delivery. Your firm gets strategic marketing capability for the cost of a single full-time equivalent (FTE). Stop dabbling in Marketing and get growing. Choose from one of our standard Managed Marketing Services packages that help you Attract, Convert, Close and Delight new business. With each package, Prudent Pedal acts as your chief marketing officer and sets your growth strategy in motion. I outline key growth strategies, build your platform, deliver key activities, and monitor ROI. Does managed marketing make sense for your firm?